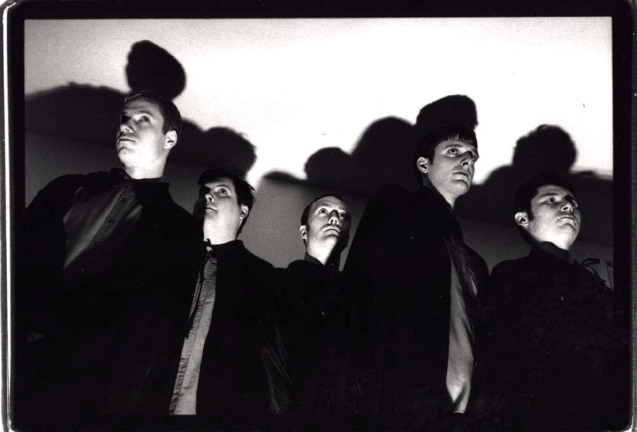 Satan's Pilgrims formed in 1992 during a series of house parties hosted by the members of the band, and were playing shows in their hometown of Portland, Oregon by 1993. Twisting their name from the 60's AIP film "Satan's Sadists" and donning their now familiar matching outfits complete with vampire capes, they became a band. The Pilgrims are one of the most influential surf instrumental bands around and while much of their sound has a definite Southern California influence, what sets them apart is the legacy of their Pacific Northwest rock 'n' roll ancestors and other influences, creating their own sub-genre of surf instrumental that many fans call "Pilgrim Rock". This, along with three distinct guitarists and a relentless rhythm section, gives their live set a dazzling variety of dance party sounds to choose from, while maintaining their patented haunted sound. After years of touring, taking the band all over the U.S. and Europe (including a now legendary show in Slovenia), Satan's Pilgrims continued to develop the surf instrumental genre. November 2000 marked the beginning of a hiatus, as drummer Ted Pilgrim moved from Portland to Memphis, TN to sweat, get autographs from all of his Soul and early Rock n' Roll heroes, and eat Bar-B-Q. Meanwhile, 10 Pilgrim offspring were birthed to various members. After a few years of changing diapers, Musick Records announced that they wanted to release a retrospective culled from the Pilgrims' original five albums. With renewed interest in the band sweeping the surf message boards on the internet, the Pilgrims decided that this occasion deserved some new material to keep their faithful fans from the 1990s as satisfied as possible. The band began writing songs again via the internet and got back together to record four new songs for "Plymouth Rock-The Best of Satan's Pilgrims". This double cd not only features fan favorites, but as a bonus, the second disc contains the new numbers mixed in with previously unreleased and rare cuts from the Pilgrims’ vault. Even more of a bonus was the fact that guitarist Bobby Pilgrim, who had amicably dropped out of the band in 1998, was ready to play again, returning the Pilgrims their trademark 3 guitar sound. With the release of Plymouth Rock-The Best of Satan's Pilgrims" in December of 2004, it turns out that the Pilgrims haunted brand of driving-guitar, dance-party music has endured into the 21st century. Without a single live appearance by the band since 2000, this album has gained more critical acclaim and worldwide notice for them than all of their original releases did during the surf-bombardment of the 1990s. In 2005, they reunited for the first time in their hometown of Portland, OR. Since then, they have played many shows and in 2009, recorded "Psychsploitation" a new album of psychedelic influenced instrumentals on their own SP Records. In 2015, the Pilgrims released Frankenstomp!, a compilation of singles, rarities and castaways, plus they played the Surfer Joe Festival in Livorno, Italy, followed by a European tour. In 2016, while on a Pilgrim's Family Vacation, the idea for a new self-recorded, self-released all surf album began to take shape. In a cold abandoned Masonic lodge, Satan's Pilgrims recorded their 9th album, Siniestro, featuring 15 all new original songs due to be released in late spring 2017. The rest of the world is still catching on to what only some knew 25 years ago. That is, if you want a surfy, spooky, garage-stompin' good time, put on Satan's Pilgrims.